Dee Torres, homeless services coordinator for Community Action Partnership of San Luis Obispo (CAPSLO), has filed a slander lawsuit against private investigator Mike Brennler. The suit, filed by attorney Roy Ogden, alleges that Brennler slandered Torres in a telephone conversation with her former husband, Charles Barber. Brennler has been investigating Torres and others providing services to the homeless in San Luis Obispo County. Brennler said the suit was an attempt to shut down inquiries into practices by homeless services providers. 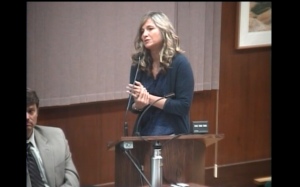 Torres has been one of the subjects of a multiple-part CalCoastNews series of articles entitled “Keeping Them Homeless.” The suit has the potential to force Torres, fellow homeless services officials, workers and even the board of supervisors to testify about what they know about the practices laid out in the CalCoastNews series, CCN Editor Bill Loving said. Brennler, a former mayor of Atascadero and retired SLO police officer, told CalCoastNews Tuesday that the lawsuit is an apparent effort to “chill” an investigation into questionable fiscal practices by CAPSLO officials and a related nonprofit, Family Ties. Brennler said his conversation with Barber was not as described in Torres’ filing. The timing of the suit was suspect, Brennler said. The suit is an attempt to keep the public from finding out what has been taking place in the system that is supposed to aid the homeless, Brennler said. “As the legal process winds it way through court, I believe the evidence will speak for itself and expose this action for what it is, an act of desperation aimed at intimidating certain members of the media, as well as anyone who is inclined to cooperate with the investigation,” Brennler said. The lawsuit could accomplish the opposite, Bill Loving said. Loving is the co-author of a media law textbook and has taught communications law since the early 1990s. Under discovery, Brennler and any of the defendants later named in the suit, can require Torres to produce documents that show how the homeless have been treated, Loving said. More importantly, discovery allows Brennler and other defendants to depose persons who have knowledge of the facts in the case, Loving said. “This means that everyone who works with CAPSLO, the employees and members of the boards of homeless services, and even members of the board of supervisors and city councils, may have to testify under oath and answer questions put to them by Mr. Brennler’s attorney,” Loving said. Hey Torres, sue me. In fact, you can sue me in England! Ogden is flailing away…good luck with that counselor. Bravo to Anne Marie Cornejo — the Trib finally discovered that there’s a story here.